A man who called a Liverpool radio station to take part in a live phone-in died while he was on air. 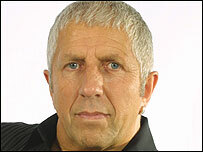 The caller, known only as Terry, was taking part in the Magic 1548 show hosted by Pete Price on Thursday. The DJ, concerned when the line went dead, abandoned the show and rushed to the man's house in the Old Swan area, to find he had suffered a heart attack. Merseyside Police later apologised for not sending an officer to investigate after Mr Price phoned them. He had contacted them before going to the caller's house but was told there were higher priority incidents to be dealt with. Asst Ch Con Helen King said the force was "very sorry that last night a member of the public called us asking for help and we didn't provide it". She added the force sent its sympathies to the man's family and an inquiry would be held by the Independent Police Complaints Commission. The 60-year-old man was a regular caller to Pete Price's show. "I'm just glad he died doing something he enjoyed doing, we all heard his last words," Mr Price said. "It was awful, when I got there the ambulance was already outside his house. "Apparently he was found in his chair with the phone by his side. I was flabbergasted. "Terry was a regular caller to the show and I knew something was wrong when the line went silent, I just had a gut instinct." Mr Price appealed to his listeners for help, and one of the caller's neighbours broke into his home to find him dead in a chair. The ambulance service arrived a short time later. Mr Price, who is soon moving to Radio City, has previously come to the aid of one of his listeners. In February 2004 he helped a teenage boy who called in and threatened to kill himself. The DJ kept the teenager talking live on air for 45 minutes before convincing him to meet him off air.